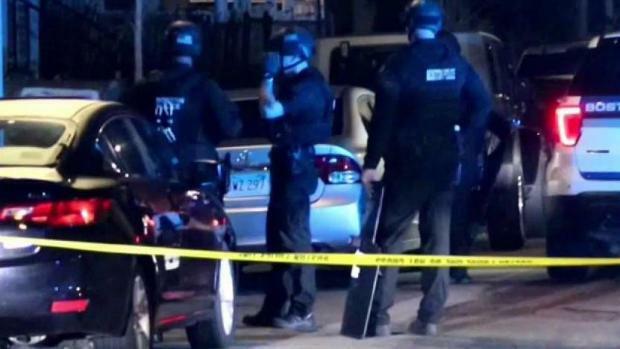 Saturday night was a violent one in Boston, with two shootings leaving two people dead. "I was about to go to bed when I heard a strange noise," Mattapan resident Lori Simkins said. "I was going to look out the window, but I got a little nervous because I didn't know what the noise was and then when I did I saw the police cars out here. And I realized somebody got shot or something," she said. Neighbors on Violet Street in Mattapan say they heard multiple gunshots. Eleven shell casings were found in front of Simkins' house. 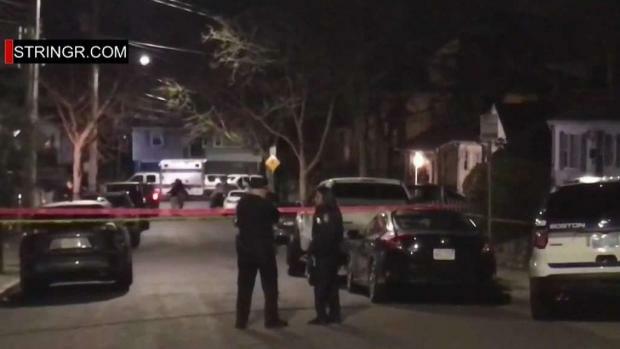 In a violent night in Boston, two men were shot and killed in the city's Mattapan neighborhood. 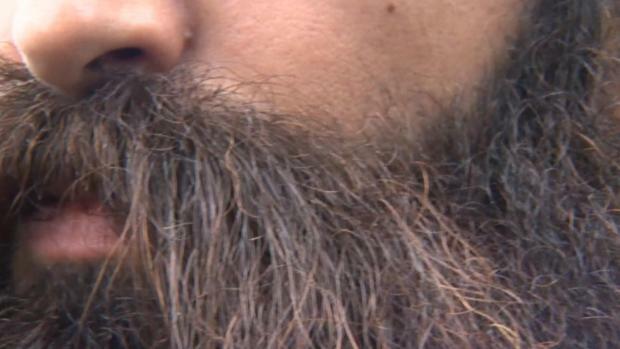 "They found eight right there in my driveway, and three in my yard," Simkins said. Police aren't releasing many details on a possible motive for the crime, or if this was a random attack or if the men were targeted. "I don't feel unsafe or anything here, but it's kind of unsettling...knowing someone just got shot on the street and shell casings were in my yard," Simkins said. 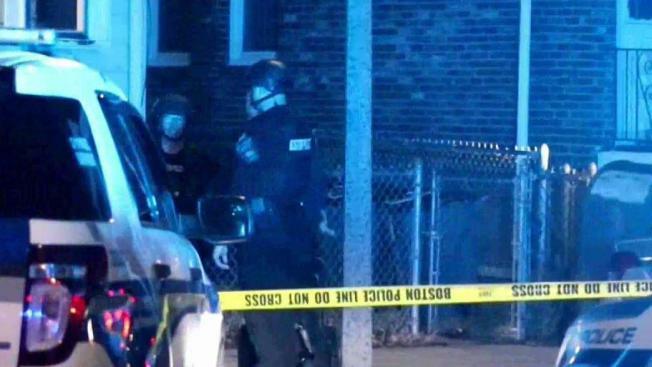 Boston police said a call came in around 11 p.m. for a shooting in Mattapan. Two men, both in their 40s, were taken to a hospital where they died from their injuries. "They've worked with a lot of youth. They helped with football, Pop Warner programs," friend Clifton Braithwaite said. A deadly double shooting left two men dead in Mattapan around 11 p.m. Sunday. Police ask anyone with information to contact them. The second shooting occurred on Westville Street in the city's Dorchester neighborhood early Sunday morning. "One bullet struck the house," Rickey Coplin said. "Just over my wife's head while we were sleeping." One of the bullets ended up in Coplin's bedroom. "I just hit the deck and grabbed my wife. And her and I hit the floor together," he said. Police say a single shot was found lodged in a house in that incident. There are no reports of injuries or suspects in that shooting, which happened around 3:30 a.m. Neighbors said that neighborhood is "pretty quiet" and they were surprised to see this happen in the area. The two incidents are not expected to be related, according to police.